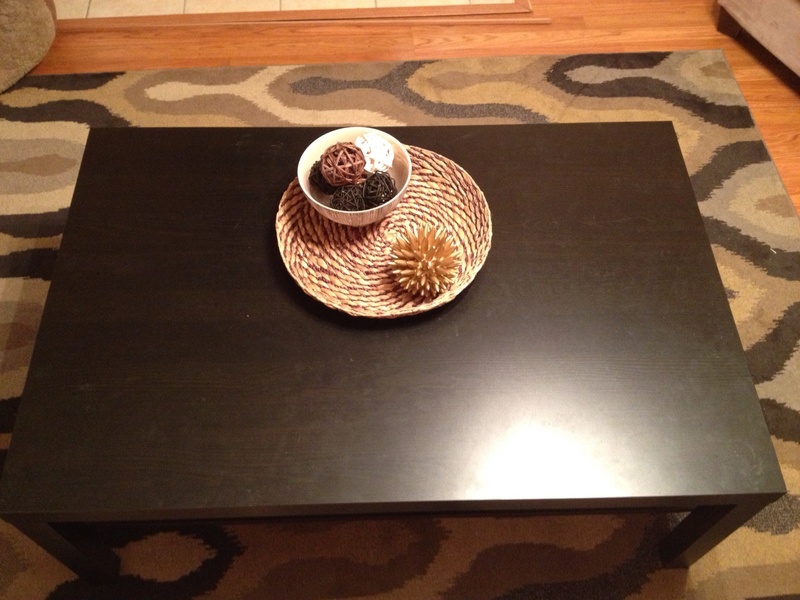 Back in December we got this awesome Lack coffee table from IKEA. We never had room for a coffee table in our last apartment so we are both excited to have somewhere to put our feet up. I was also excited at the prospect of decorating the new addition. I find that I have very few spaces to put things on top. Most of our furniture is shelves or something that I can’t really do a display on. First of all I loved this table because it brought out the dark in our rug. Let’s discuss this rug for a moment. I LOVE it. Like seriously, favorite thing in the house. It has great patterns and colors that match so much decor. So when I first got the table I had a rectangular basket-weave tray on it. I knew I wanted to put these cute wicker balls in a bowl on it but my first attemp just looked. . . Lonely? Boring? I knew it wasn’t complete but I still just hated the components. One day I went to Target on lunch and found everything I needed to fix it right up -Thank you Nate Berkus! 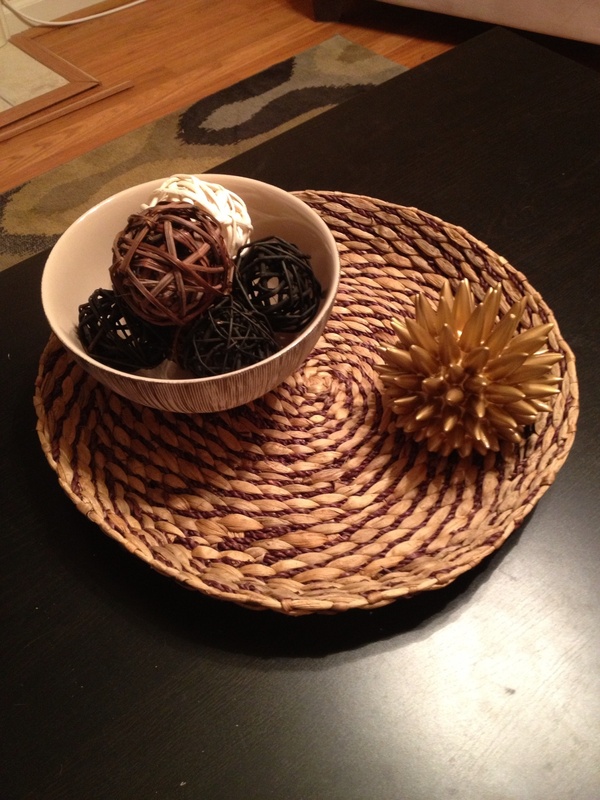 All the pieces are Nate Berkus for Target except the wicker balls. They are an IKEA special that I picked up during our big trip in Decmeber. I’ll talk more about that specific trip in another post though. Here is my latest coffee table arrangement that I am so in love with. What I love about this is that it is a mix of round that I think works perfectly together. I love the colors did textures and think they really help to pull from the rug as well. 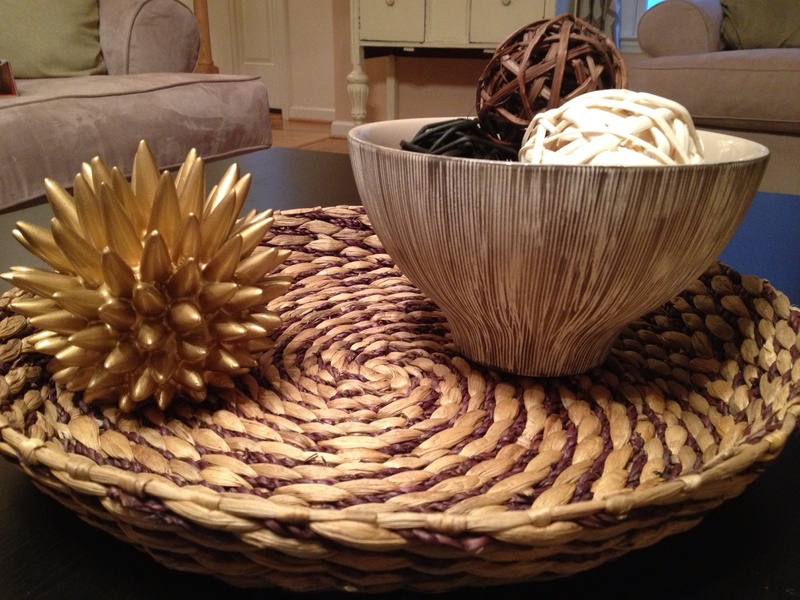 My favorite is the mix of textures between the basket, the bowl, and the urchin. I also think this is a good size for the table. I didn’t want a huge arrangement that was overwhelming and looked cluttered. God knows I have enough clutter in my life and it doesn’t need to be in the room I entertain in. Overall I am very excited with it. What do you think? Is it missing some fresh flowers? 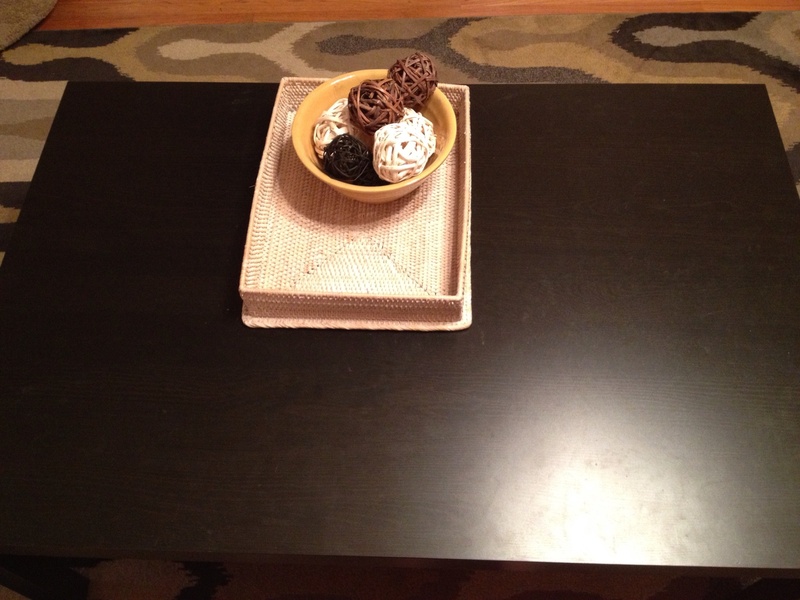 Or do you prefer simple and clean coffee tables?